October 2013 marks 42 years since the mining accident that led to the deaths of 89 people in the Romanian town of Hunedoara county – Certeju de Sus. The tailing dam collapsed and flooded the village causing Romania’s worst peacetime tragedy in the 70s. The scale of the disaster was kept secret at the time by the communist authorities so that they didn’t declare a national day of mourning. Eight possible causes were considered: from ground hogs to tectonic movements. It was noted however, that while the stability loss of the tailing pond was provoked by the beyond the limits increase of the dam. Following technical research and accident investigation to identify those responsible, the case was closed without any legal consequences. It is well known that the main cause that led to mining accidents in the past 25 years is the tailings’ dam failure. The same cause was identified also for the cyanide mining accident at Baia Mare in 2000. Manifestations of international solidarity with Certej were held in Bucharest, Cluj-Napoca, Deva, Iasi, Timisoara, Oradea and Vienna. 42 years later, a new gold mining project threatens to endanger the lives of the Certej rezidents, of the neighboring communities and of the city of Deva, about 10 km away. In July 2012, the Regional Environmental Protection Agency has issued an environmental permit for the Certej cynide mining project . The extent of the project proposed requires a total of 26 448 tonnes of sodium cyanide usage during the 16 years operation. The processed toxic sludge would be stored in a 63 hectares ponds. It would require as well the construction of three dams made out of rocks, of which the tallest will reach 160 meters high. The government has not requested any environmental warranty for the Certej project approval. The Romanian state participation is similar to the one of the Rosia Montana project and the contract is still a secret one. 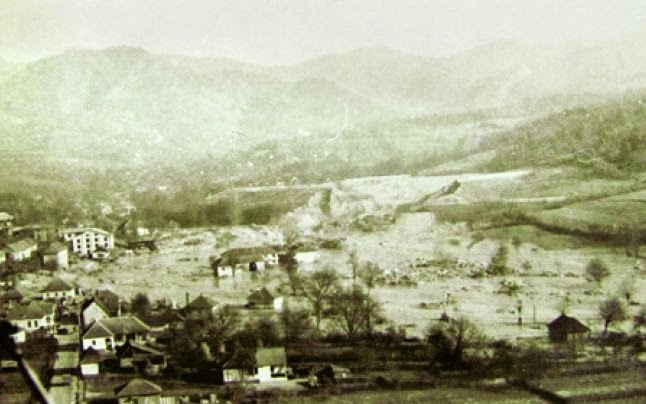 Moreover, the environmental permitting for the mining project found acceptable the impacts of the 29 million cubic meters of water from the river Mures consumption, the clearing of 187 hectares of forests and the project’s overlapping the the Nature 2000 – 0132 ROSPA Metaliferi Mountains on 108 hectares. Currently, the environmental license is subject to a law suit at the Bucharest Court of Law (Tribunal).